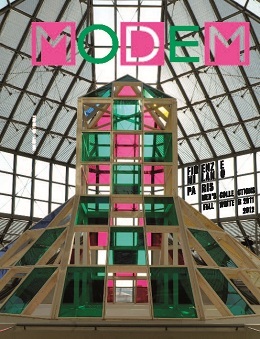 Daniel Buren signs this Modem Florence Milan Paris Men's collections fall/winter 2011/2012 cover. Born in 1938 in Boulogne-Billancourt, France, Daniel Buren is one of the most important contemporary Art figures. He graduates in 1960 at the Parisian Ecole National Supérieure des Métiers d’Art. In 1965 elaborates his artistic vocabulary: white vertical stripes alternated with colourful ones 8,7 cm wide, that he defines “his visual tool”. He got interested in the bound between Architecture and Art, developing a 3D work in which the art piece was not the object but modulation in space, creating the work “in site” idea or the art intervention related to a place. In the 70s he starts exhibiting in museums. 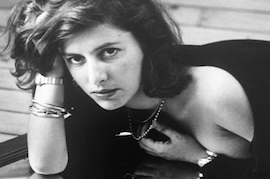 The artist reckons that “all the displayed works are staged” and so exhibitions become a mere decoration, denouncing the staging institutions role. In 1986 at Venezia’s Biennale receives a “Leone D’oro”, and in the year the famous “Buren Columns” are inaugurated in Paris at Palais Royal courtyard. In 2007 receives the Japanese Imperial Award. Since now he has built 2000 installations worldwide.